HOW HAVE HUMANS UTILIZED THIS FUNGUS IN MEDICINE? 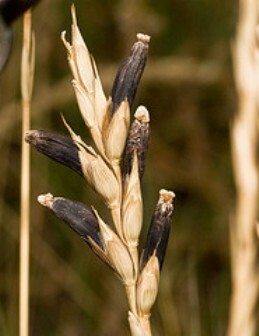 Ergot is one of the coolest organisms ever. In my research, I kept reading about these "ergot alkaloids," and the more I read about them, the more amazed I was by this organism. First though, a little general information about the alkaloids. This is just a general term used to describe a number of different chemical compounds produced by Claviceps purpurea, which were most likely initially produced to provide the organism with protection in nature. After a while, humans learned how to use these chemicals for their own benefit. One compound that has been used for centuries is ergonovine. *ERGONOVINE-This compound is used to hasten labor and prevent postpartum bleeding. This is still used today! It is given to women in the third stage of labor to prevent hemorrhaging by maintaining uterine contraction and tone. The blood vessels are also reduced and compressed so there is less blood flow. The interesting thing about this compound is that if it is ingested by a pregnant mammal before in labor, it increases the risk of female mortality and can cause spontaneous abortions. 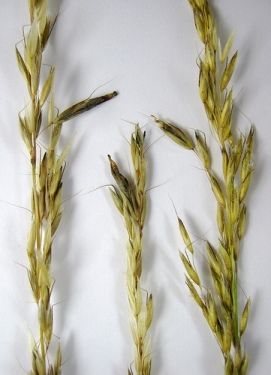 Ergonovine is only one of many compounds that ergot produces and we have found uses for! ERGOTAMINE-Ergotamine is another compound produced by Claviceps purpurea and is a powerful vasoconstrictor, which means it constricts the blood vessels and thus the blood flow. This is useful in migraine headaches because it reduces extra cranial blood flow and the amplitude of the pulsations in these arteries. 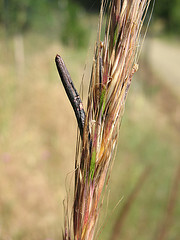 Another aspect of ergot is that it is a serotonin agonist. This quality has also been proven to help with throbbing headaches. Ergot is also a known to be dopamine agonist. This means that it increases the effects of dopamine (a neurotransmitter) in the brain. To help clear this up, I'll give you a little more information about how neurotransmitters work. Between all the individual nerve cells in the brain (called neurons), there is a tiny gap called the synapse. To communicate across this gap, one neuron releases the neurotransmitters and the other reads them and they are eventually taken back up by the first neuron so they can be used again. To be a neurotransmitter agonist, like ergot, the re-uptake of the neurotransmitter is inhibited, so its effects are amplified. It is for this reason specifically that ergot derivatives are used to help treat patients with Parkinson's disease. After researching more on this topic, I found out that in patients with Parkinson's, the dopamine transmitting neurons clustered in the midbrain die. By treating these patients with ergot derivatives, the D1, D2, and D3 dopamine receptors are agonized and the effects of dopamine are increased, which can help manage symptoms. Other things that I found that are either in use or in research for treatment with ergot or some of it's derivatives is hyperprolactinemic disorders, muscle relaxer (hypertonia), circulatory diseases, angina pectoris, and possibly an anti-tumor drug. 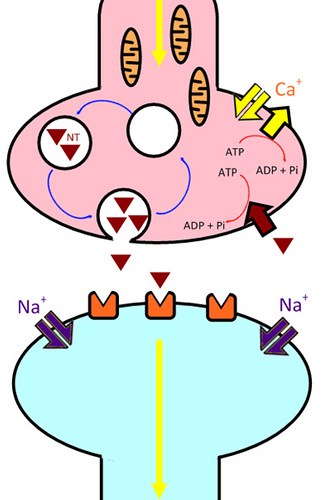 It has been found to regulate the proliferation of the cells. The three most common things that I found information on that ergot derivatives were used for treatment were during labor, headaches and Parkinson's. This being said, there is always research being done and there are many other drugs and possible uses of ergot that I couldn't even get to! So, if you're looking for more information on the medicinal uses of ergot and some other great info, check out this website! Another vitally important chemical produced by ergot is lysergic acid, or LSD. This is such an important chemical I thought it deserved it's own page, so check out LSD! If you're not all that into LSD, go back to HOME. (c) 2011 Kaitlyn Miedema. Design by Free CSS Templates. Last Updated: April 15, 2011.